This week HBV reactivation warnings from both Europe and Canada take first place. Warnings as well about how untreated HCV in patients with chronic kidney disease can lead to end-stage renal disease and kidney failure. In New Zealand access to the new treatments is getting easier, both via Dr. Freeman’s FixHepC Buyers Club and a decision from the New Zealand government to treat people in the Waikato and wider Midland area next year for free! Meanwhile in Canada, access to treatment is still restricted and reimbursement criteria inconsistent. Two new studies on smoking and HIV and smoking and HIV-HCV coinfection have really brought into question what, exactly, cigarette smoking does to you if you have HIV or HIV-HCV coinfection. And the answer is NOT simple. As well there is an update on the Compensation Fund (bad news), an article on jet lag and liver cancer, how monitoring of DAAs doesn’t have to be done by a specialist (making treatment access easier and cheaper), and a successful class action suit in Washington state to get rid of fibrosis criteria for Medicaid approval. This year at The Liver Meeting® — held by the American Association for the Study of Liver Diseases (AASLD 2016) — there were a lot of presentations on Liver Cancer (HCC) and the new DAAs. By and large the conclusions were that patients with hepatitis C who take direct-acting antiviral medication are at no higher risk for developing liver cancer than those who do not take the medication. However, they might be at an increased for more aggressive, infiltrative patterns of cancer, should they develop it. Other studies focussed on treating patients with DAAs who already have HCC and the results were very good. However, in that the DAAs do not cure the cancer, other studies focussed on the next option–liver transplants–and whether is was best to treat before or after a transplant. 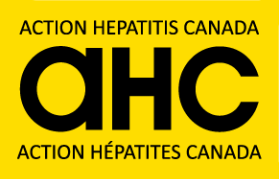 Read about the problem of “late hepatitis notification,” where someone is diagnosed with HBV or HCV after, at the time of or within 2 years before decompensated cirrhosis or HCC diagnosis, a new 8-week pangenotypic treatment from AbbVie, watch a great podcast on extrahepatic manifestations, discussions about access to generics and buyers clubs, a possible interaction between Warfarin and Holkira Pak (Viekira Pak), and much much more..
Read about BC Ministry of Health’s refusal of PharmaCare coverage for Zaxine™, CADTH’s recommendation of Pharmacare coverage for Epclusa™, who sets the price for patent medicines in Canada, Trek Therapeutics (a public benefit corporation), sofosbuvir, velpatasvir, and voxilaprevir for 8 weeks, find out about out-of-pocket costs for HCV treatments in the USA, Vietnam Vets and jet guns, acute hepatitis after heavy energy drink use, dating after HepC, and much much more..